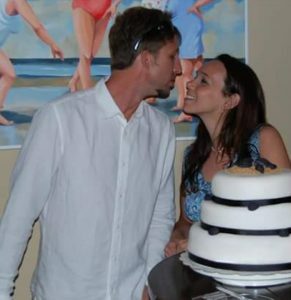 Matt & Jenny fell in love, got engaged, and were married on the sandy shores of Folly Beach, SC. They are the proud parents of 3 children, and spend as much of their time as possible by the ocean surfing, bodyboarding waves, or doing yoga. 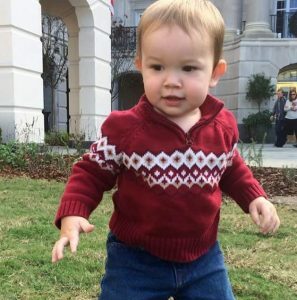 In December of 2015, our youngest child suffered a very sudden and significant regression that silenced his speech, caused him to withdraw, and to stop making eye contact. He would eventually be diagnosed with autism, and our lives would forever change. Although yoga had already held a significant spot in our lives, it would become a source of healing for our grief and a renewal of purpose as we began our journey as “special needs parents”. 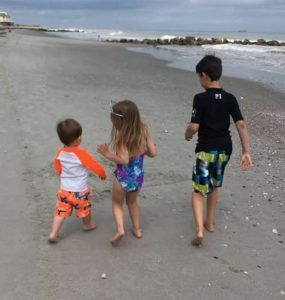 Folly Beach has continued to hold our hearts and draw us back with it’s very public support of autism families and the Surfer’s Healing tour. Shortly after the diagnosis, Jenny enrolled in yoga teacher training. She is now a Yoga Alliance registered yoga teacher (RYT-200), and most recently completed a 300 hour training. She specializes in postpartum weight loss yoga, having used yoga to lose “the baby weight” herself. She teaches a non-traditional Hatha yoga class mixed with sprinklings of yin and Raja style yoga. 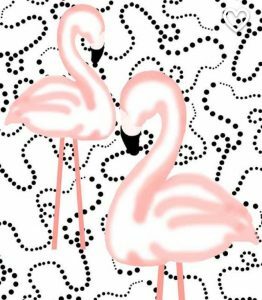 She is the artist behind Beach Bum Family Art & Gifts, which offers a variety of pink flamingo and beach themed party and home decor jewelry, apparel, and gifts. 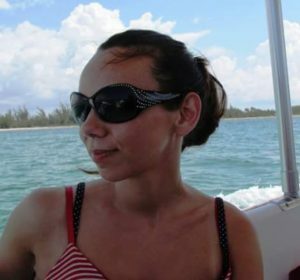 Jenny is also a U.S. Army veteran and served during Operation Iraqi Freedom. Matt began yoga teacher training immediately after Jenny’s graduation and is now also a certified yoga teacher (RYT-200). 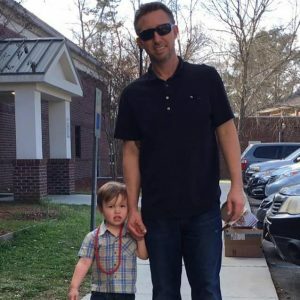 He is a College of Charleston graduate, skateboarding and surfing enthusiast, and DC United soccer fan. His open level classes offer a combination of guided breathing and Hatha style yoga. Ready to take a class? Find our schedule and purchase tickets here. 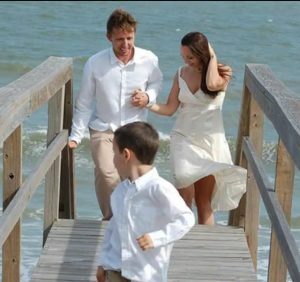 If you prefer to book a private session or a small group class for Folly Beach or Kiawah Island, click here to contact us.